Each box contained two random mystery pins. There were a total of twelve pins. Ten were shown and two were not (chaser pins). 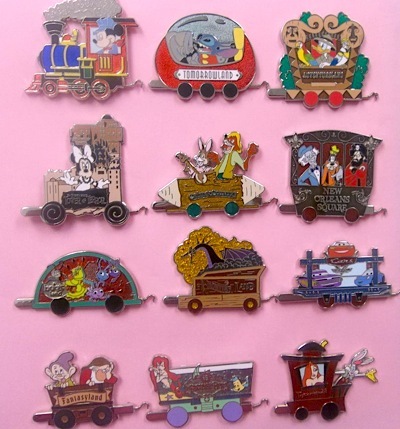 These pins were The Little Mermaid and Roger and Jessica Rabbit. Roger and Jessica are representing Toontown in a car that is clear red filled.